Holy xenomorph, Batkids! 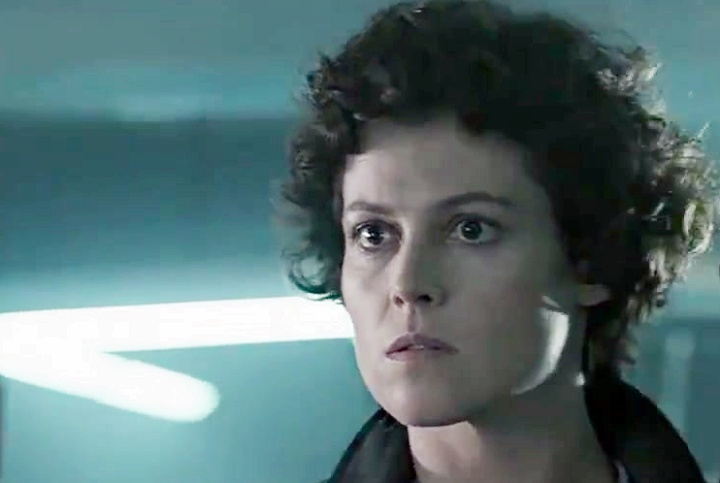 Did you know our pal Ridley Scott wanted a much darker ending for Ellen Ripley? And, if he’d gotten his way, we’d never have seen Sigourney Weaver go on to do Aliens (or Alien 3 or Resurrection), which would have been a mixed blessing, I suppose … after all, she did get nominated for an Academy Award, and she did look badass as all hell with her head shaved. Speaking of heads, I’ll let Sir Scott tell you his dark vision for Ripley (and the alien), but first, Prometheus’ David will drop a little hint. Heeeeere’s Ridley, relating how he was threatened with being fired after pitching his ending. WHOA. I mean, I love Ripley with all my heart and soul, but I have to say that could have been a damned cool ending. It also would have changed perception of the alien creatures; though it is perceived as having intelligence, I don’t think most folks believe it to possess anything beyond a basic predator. Having the brainpower to push buttons and mimic a particular human’s voice — that’s mind-boggling. I’m so curious, now, as to whether we’ll see some future iteration of the xenomorphs that incorporates these ideas (beyond David’s head-ripping).